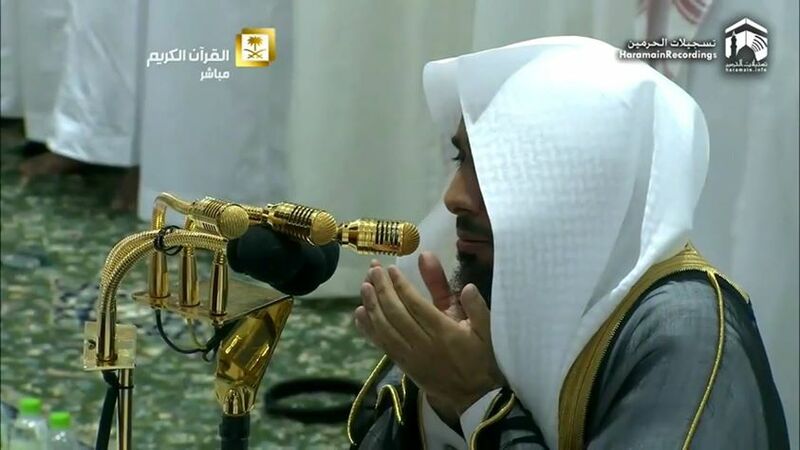 Sheikh Abdullah Awad Al Juhany is the youngest of all the Imams in Masjid Al Haram and was born in the year 1976, in the city of Madinah, Saudi Arabia. He completed the memorization of the Quran at a very young age. At a very young age he entered in the Quran Recitation Competition which was held in Masjid Al Haram (and still is) every year and won the first prize. As he came from a very Religious background, his parents wanted to him to progress in the field and hence he gained education from Umm Al Qurra University, and gained a P.H.D Degree in Islamic Sharia and Quranic Recitation. Thus making him one of the youngest ones to gain a P.H.D Degree from Umm Al Qura University. Sheikh Juhany was appointed to Lead Taraweeh Prayers in Masjid Al Nabawi in the year 1998-1999 and finally in 2007 he was appointed as a permanent Imam to lead Salah in Masjid Al Haram, Makkah. Sheikh Juhany has been blessed to be the only Imam who has led Salah in almost all significant Mosques in Islamic History, including Masjid Al Quba, Masjid Qiblatein, Masjid Al Jinn, Masjid Al Nabawi and Masjid Al Haram.